Immigration and Expatriates Affairs Minister Nabila Makram had talks with Italian officials on Egypt and Italy recognizing the validity of driving licenses issued by each other. In a statement by the Immigration Ministry, the minister said that an interior ministry’s delegation accompanying her during her visit agreed on amendments introduced by the Italian side to a proposed agreement on the reciprocal exchange of driving licenses with Italy. 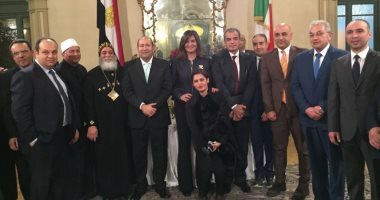 Makram stressed the importance of this step to adjust the conditions of Egyptian expats in Italy. Many holders of a standard driving licence issued by a country outside the European Union/European Economic Area (non-EU/EEA) may drive in Italy using the foreign licence for up to one year after obtaining residency. For holders of a driving licence issued by a non-EU/EEA country who wish to continue driving in Italy after their first year of residency an Italian licence must be obtained, whether by exchange or by completing the required theoretical and practical tests before the end of the first year of residency. Makram started her visit to Italy on Wednesday to encourage Egyptian expatriates to take part in the 2018 presidential elections.